You asked for it and we are thrilled to present the brand new addition to the supremely-popular Dante collection - the Dante Petite Necklace! Just like the original Dante Necklace, but smaller! 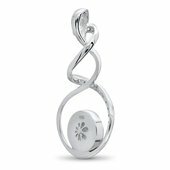 Elegant yet fun and flirty - this pendant has it alll! 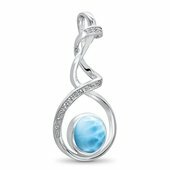 A round bezel set Larimar stone rests inside a highly polished sterling silver free form pendant. Large areas of the sterling silver are adorned with prong set white sapphire stones - simply dazzling! The necklace includes MarahLago's innovative thicker Snake Chain - it measures 1.25mm thick and can adjust from any length up to 21"! The square snake chain has a silicon clasp that allows it to clasp at any length! Fabulous! 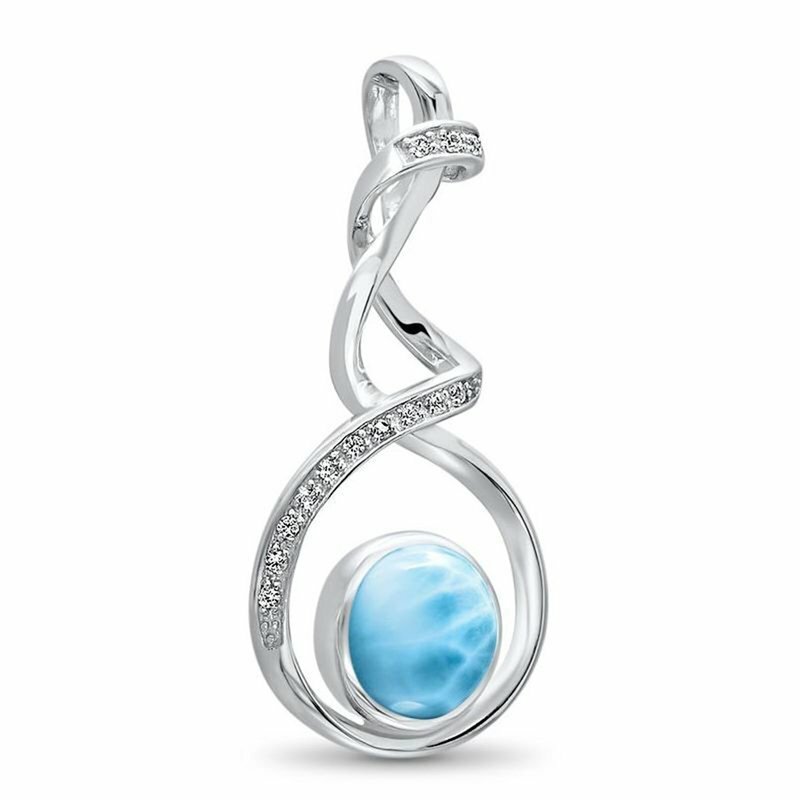 And it's from MarahLago, the only name in high quality designer Larimar jewelry.